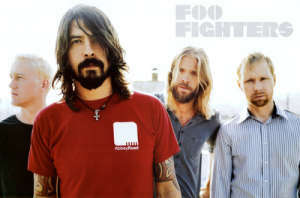 The Foo Fighters. Poster available at Amazon.com. Every year, the anticipation builds for music fans as we look forward to new albums from our favorite artists. Personally, 2013 wasn’t a great music year for me; there were a few new releases I enjoyed (which I’ll discuss in an upcoming article), but overall it seemed like a “hiatus” time period for many of the artists and bands I follow. Of course, some of those artists were busy in the studio recording new music, which should hopefully be available for our listening pleasure in the months ahead. Which upcoming albums am I most looking forward to in 2014? Here’s my short list of top picks. CHECK PRICE2014 will mark twenty years since the Foo Fighters first rocked the world with their debut self-titled album. Originally they were in fact a one man band, formed by Dave Grohl after the death of Kurt Cobain and the dissolution of Nirvana. However, over the course of the past twenty years—and several personnel changes—the Foo Fighters have grown and evolved into a thriving, highly original and hard-rocking band in their own right. Indeed, they are one of the best live acts out there today, and their 2011 release, Wasting Light, was (in my opinion) their strongest and most cohesive work to date. After a lengthy supporting tour and taking time off for various side projects, the Foos recently announced they had finished writing material for a new album which will be recorded in early 2014. Personally, I can’t wait to hear what they come up with next! In classic Foo Fighters fashion, they also announced the end of their “hiatus” period and upcoming shows in Mexico in this video – which features a surprise “guest star” at the end. Foo Fighters fan? Then take my Ultimate Foo Fighters Fan Survey! CHECK PRICEAndy Summers‘ solo work has largely veered into jazz, new age and world music genres in the years since The Police’s 80s heyday. 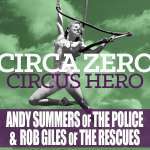 But that looks to be changing as this year he announced the formation of Circa Zero, a new band consisting of Summers, multi-instrumentalist Rob Giles and drummer Emmanuelle Caplette. The band has to date only performed one live show, previewing some of the music which should be on their upcoming release. In late September the band announced on their Facebook page that they had “finally found the right label” so their much-anticipated debut release should be on the way. Their music promises to be “guitar driven” and “lyrical rock”, which certainly should please fans of Summers’ work with The Police who have long wanted to hear him performing more in the rock style. Hopefully a tour will follow the release of their album as well. You can get a preview of their music and how the band came together in this video they released over the past summer. CHECK PRICEThe Hoosiers are a band I “discovered” several years ago and instantly fell in love with for their hooky pop-rock sound, Irwin Sparkes’ lovely vocals and their wicked sense of whimsical humor. Their 2007 debut The Trick to Life was a big hit in the UK, filling the airwaves with hit singles including “Goodbye Mr. A” and “Worried About Ray”. However, fans had mixed feelings about their 2010 follow-up, The Illusion of Safety, which took the band in a more electronic/dance-oriented pop direction than their original indie-pop sound. They split from their record label, Sony, in 2011 and then re-issued their last album under a new title, Bumpy Ride, with additional tracks and bonus video material. 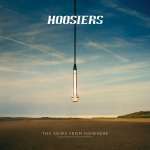 Since then, fans have been wondering when, where and if The Hoosiers would return—and in September of 2013 they triumphantly have with The News From Nowhere: a new album planned for March 2014 release. 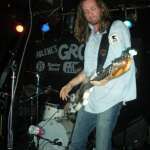 Taking matters more fully under their control, the band is using crowd-sourcing to fund the recording, production, promotion and touring for the album. I keep hoping that someday The Hoosiers will play at least a few dates in the United States—or that I might happen to be in Europe at some point when they are touring. But no matter what happens, I’m definitely looking forward to hearing what they’ll come up with on this record. The first new single from The News From Nowhere, “Somewhere In The Distance”, promises that their new album should combine some of the best elements of their past work and sounds like an instant classic. In fact this is probably the album I’m most looking forward to in the new year—I just can’t get enough of these guys! 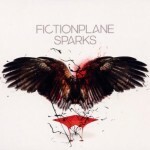 CHECK PRICEFiction Plane‘s last studio release, Sparks, was in 2010 – and some fans wondered if perhaps the band was gone for good after such a long hiatus. Fronted by Joe Sumner (son of yes, Gordon Sumner aka Sting), the band has seen some ups and downs in popularity through the years. 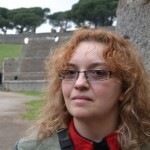 Opening for The Police on their reunion tour in 2007-2008, Fiction Plane found many new fans around the world because of that exposure and the strength of their album Left Side of the Brain. However their follow-up release, Sparks, failed to generate much excitement outside of Europe (I was not a fan), where they have maintained a strong following and fan base. Joe seemed to become more interested in technology-related business ventures like Vyclone, and it seemed that perhaps his rocking days were behind him. What new releases are you anticipating in the coming year?